Total Earth Care is currently recruiting for a Senior Ecologist. The ideal candidate will have a strong work ethic and be motivated, have initiative and pay clear regard to the intent of environmental legislation. We require a person who has the experience to instantly acquire a large number of clients/jobs, who can work unassisted and produce, well written, clear and accurate reports with a balanced ecological outlook. The candidate will be expected to work to clearly defined scopes of work, programs and fee structures. We welcome applicants with diverse skills and experience. 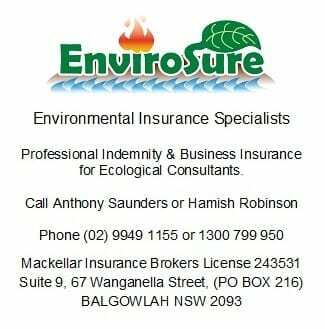 The candidate must have demonstrable experience in the restoration of bushland with NSW and preparation of application for Bio-banking statements, EPBC referrals and other statutory documents. • A demonstrated ability to write fluently and concisely in a scientific manner. This would normally be in the form of ecological assessment report/s and or vegetation/bushland management plans. If you are seeking a friendly and professional organisation where workplace culture is highly valued and where professional development is encouraged, please forward your application to Fernanda Albuquerque – Human Resources Manager at hr@totalearthcare.com.au or contact the Consulting Division team directly for a confidential conversation on (02) 9913 1432.